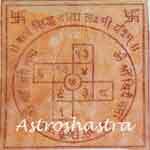 Yantra for Fulfillment of Desires. - for courage against all odds and ensuring success in all activities. 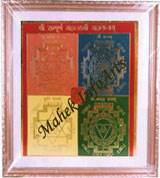 This Yantra should be hung in the house at a prominent place, or kept in the 'Puja' or prayer room, for success in practically everything one does.